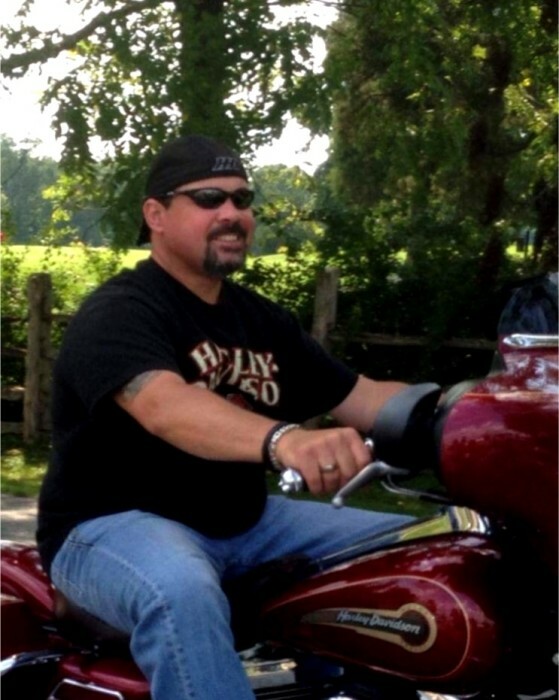 Duane Robert “Robbie” Hubbard, age 48, of Waynesburg, Kentucky, passed away Sunday, April 14, 2019 at his residence. Born Thursday, September 10, 1970 in Danville, Kentucky, he was the son of Lanny Roy & Sandy Jean Carrier Hubbard of Stanford, Kentucky. Duane was a 1988 graduate of Lincoln County High School, and previously worked as a parts manager for 25 years at Spirit Chevrolet in Harrodsburg. Currently, Robbie worked in the same position at Bob Allen in Danville. Robbie was a member of Pleasant Point Baptist Church and attended Pleasant View Baptist Church. 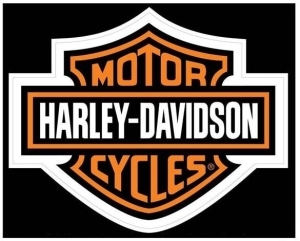 Robbie was a Harley Davidson enthusiast and a member of the Raptors Motorcycle Club. He always had natural artistic ability. In addition to his parents, Robbie leaves behind one brother, Michael Ryan Hubbard (Sandra McGuffey) of Waynesburg; paternal grandmother, Lola Jenkins Hubbard of Kings Mountain; maternal grandfather, Eugene Carrier (Dessie) of Waynesburg; and several other extended family members and friends who mourn his passing. Robbie was preceded in death by paternal grandfather, Charles R. Hubbard; and maternal grandmother, Lois Daugherty Carrier. A Funeral Service will be held 11:00AM Wednesday, April 17, 2019 at Pleasant View Baptist Church with Bro. Aaron Hogue & Bro. Tim Jones officiating the service. Burial will follow in Pleasant Point Cemetery. Lee Burton, Greg Messer, Craig Hubbard, Jim Peck, Gary Young, Rob Muse, Tyler Hubbard, Brian Hubbard, Denny Blough, Marty Young, and David Hazlett will serve as Active Pallbearers. The Visitation will be held 5-9PM Tuesday, April 16, 2019 at the church. Memorial Contributions suggested to American Diabetes Association, P.O. Box 15829, Arlington, VA 22215. Barnett, Demrow & Friend Funeral Home, Waynesburg, is entrusted with Robbie’s arrangements. Guest Book at www.friendfuneralhomes.com.